Part II of this edition reproduces The Tour of Africa, first published in 1821 by Catherine Hutton. Although framed as a first-person narrative, the three-volume work is in fact a compilation of existing travel accounts. 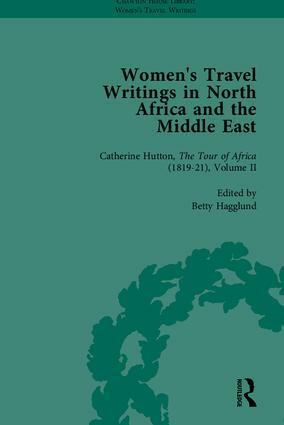 Hutton’s Tour raises challenging questions about intertextuality in nineteenth-century women’s travel writing.